Unlike Buffalo wings, which simply derive their name from the town in which they were invented -- Buffalo, N.Y. -- Buffalo mozzarella refers to the animal whose milk is used to make the cheese. Buffalo mozzarella originated in Italy, but is produced around the globe. The cheese is rich in flavor, but is also calorie-dense and high in fat, so it might not be appropriate for all diet plans. 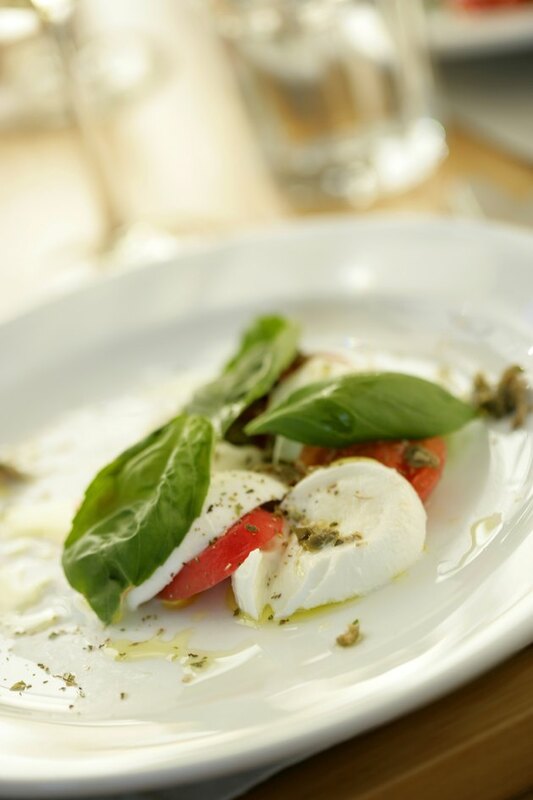 Buffalo mozzarella is relatively calorie-dense, as a serving of just 1 ounce contains 79 calories. That amounts to about 4 percent of the daily recommended intake of 2,000 and is more than what 1 ounce of many other foods provide: 1 ounce of grilled chicken, for example, contains just 30 calories. The reason why Buffalo mozzarella is high in calories is because it's rich in fat. Each 1-ounce serving of Buffalo mozzarella contains 7 grams of total fat, with 5 grams of saturated fat. Saturated fat is a type of fat that might increase your cholesterol levels, which enhances heart disease risk. For this reason, saturated fat should constitute less than 7 percent of your total calories, while total fat should constitute 25 to 35 percent, according to the American Heart Association. Buffalo mozzarella provides some protein, but it is not a rich source of this nutrient. Each 1-ounce serving contains 4 grams, which is half of what you'd find in a cup of milk. Protein is required for building and maintaining your cells and tissues. A potential benefit of Buffalo mozzarella is that it contains no carbohydrates, which can make it a good choice for those on reduced-carb diets. According to a research review published in the February 2006 edition of "Archives of Internal Medicine," a reduced-carb diet might help you lose weight more quickly than a low-fat diet. Unlike many high-fat foods, Buffalo mozzarella is relatively low in cholesterol. Each 1-ounce serving contains just 14 milligrams of cholesterol -- less than 5 percent of the American Heart Association's daily suggested limit of 300 milligrams. Buffalo mozzarella is not a rich source of vitamins and minerals, but 1 ounce of the cheese contains 7 percent of the daily recommended intake of calcium. What Cheeses Are Best For Dieters?